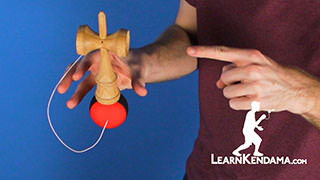 Learn to add extra spin on the Ken with the 1 Up Techniques. 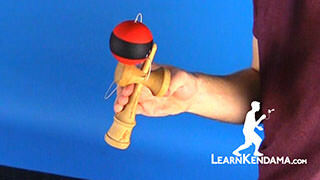 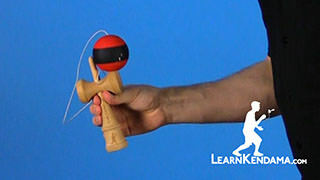 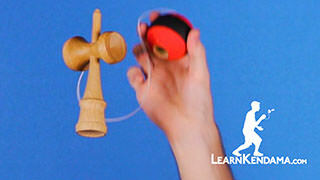 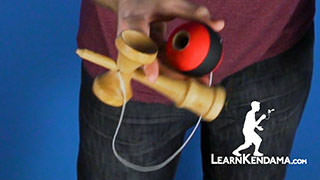 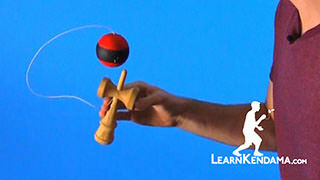 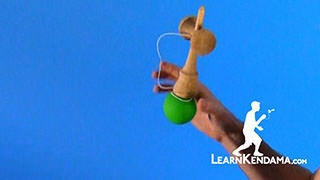 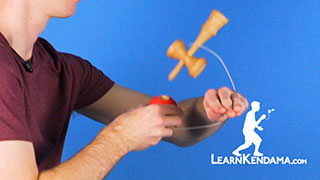 1 Up Techniques Kendama TrickIn this video we are going to be going over the Kendama Technique known as the 1 Up. 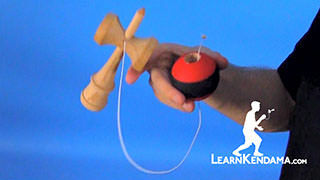 The 1 up is whenever the Ken performs an extra rotation in the trick, when the Ken and the Tama are hanging freely and they are not touching. 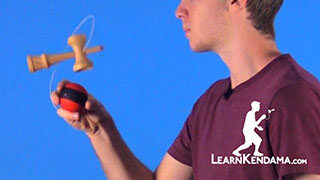 So an example of that would be 1 Up Airplane, 1 up Lighthouse, 1 up Lunar. 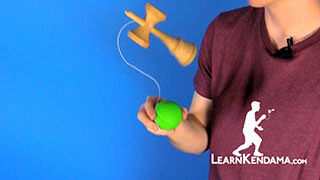 Those are just some basics there is also a lot more and you can apply 1 Up to many other tricks. 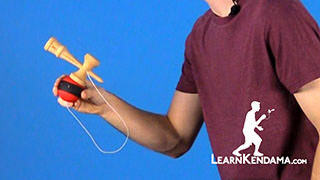 So to show you some examples, you have the 1 Up Airplane, you have 1 up Lighthouse, and you have 1 up Lunar. 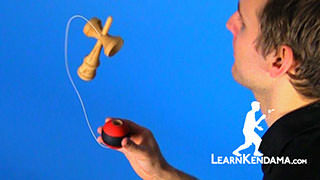 You see at the end of those tricks that there was an extra rotation involved in the Ken before landing the trick. 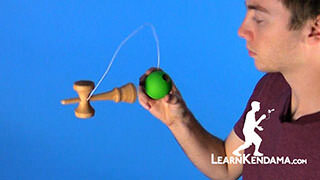 To learn this we are going to start just like we would any airplane or swing trick, so you are going to hold the Ken up, when you drop it you want to make sure that the Ken is up and down and when you drop it, you apply a small rotation. 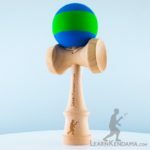 So you see, right when the base cup is face down I am applying a pull with the tama and you can see that causes it to do that rotation. 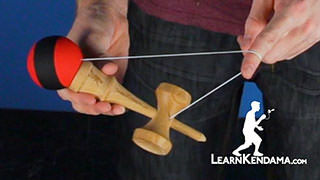 You want to make sure that you do not drop it like this because it will corkscrew out and you will not have a lot of control, you also want to make sure you are not touching the string at all with your hand. 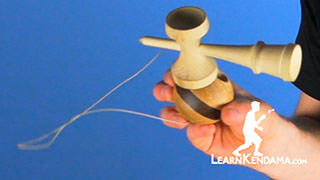 If you do that you will pull it too hard and you lose a lot of control with the spin that way. 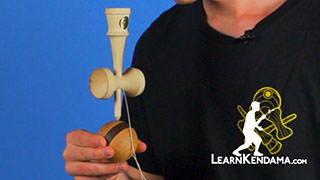 You just want to practice dropping it casually and doing a slight pull with the Tama in towards your body. 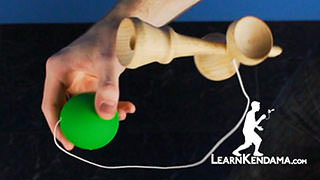 You want to make sure you got it straight you can see mine, the cups are parallel with the ground, just like that. 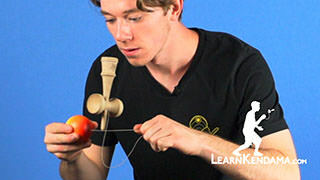 To apply it to the trick, you can either do a light tug to get into tricks like lighthouse or lunar were you really only want the Ken to really rotate a little bit or you can apply a larger tug to get it to fully rotate, like you would with an Airplane. If you really want to take it to the next step you can also apply a little bit more pressure too and you can try going for tricks that cause the Ken to rotate twice, like that. 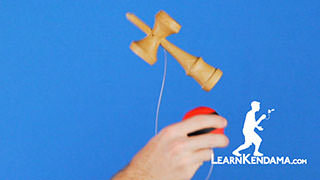 If you are having trouble landing the 1 Up, or 2 Up, or even so on, you can practice just having the Ken in airplane and you can use it to flip up into the trick and this will stimulate the same motion you get when the Ken is landing because you can see it is coming in at that angle and sliding on the Ken both from the 1 up and like in the J-Stick motion as well. 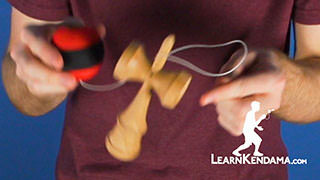 If you are having a little bit of trouble you can practice that way too and that is the technique known as 1 up.